Portable data acquisition systems are fully integrated, data acquisition and display stations with secure, built-in data storage and network connectivity. Portable versions are available for industrial and laboratory applications. The compact and battery-powered analog input module GX70SM uses 920 MHz radio link to connect to the GX20, GP20, or GM10. It can collect a variety of data points from locations that cannot be easily reached or are difficult and expensive to access. Sales area : US and Japan only. 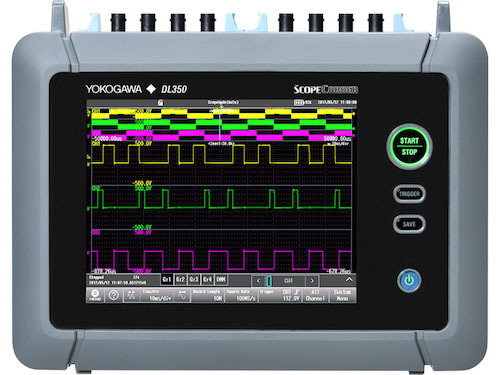 For “quick and easy” troubleshooting or sophisticated mixed-signal datalogging, the DL350 is a portable, powerful, and useable engineering tool that makes complete measurements completely portable.